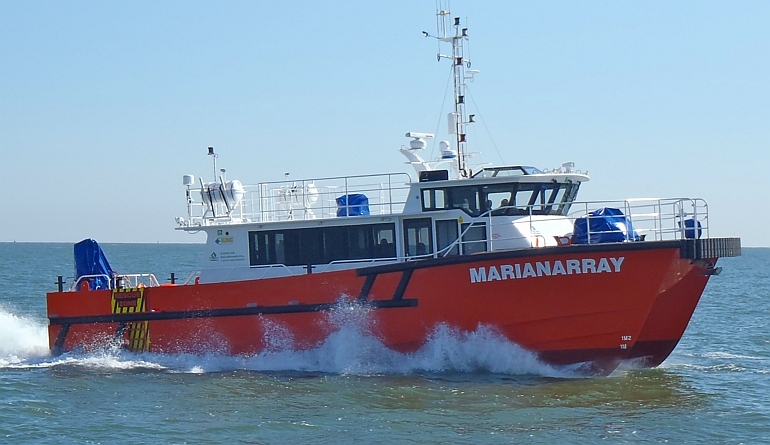 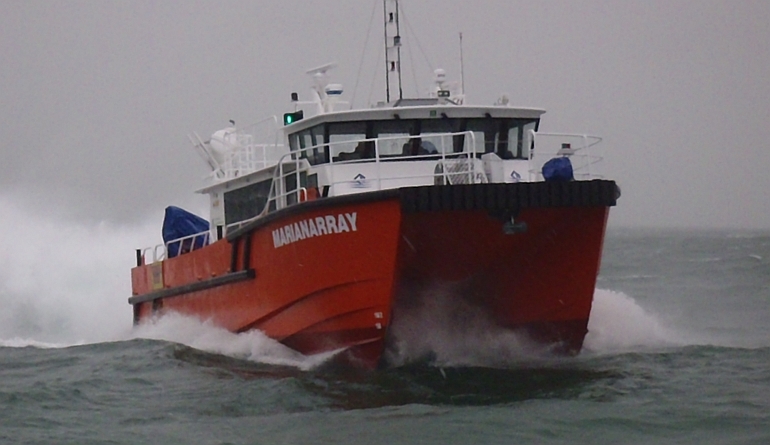 Based on our highly successful WFSV 20m catamarans of the “Gardian” series, the PROPELLER driven “Alicat 17 Propeller” is the sister vessel to the jet driven “Marianarray”. 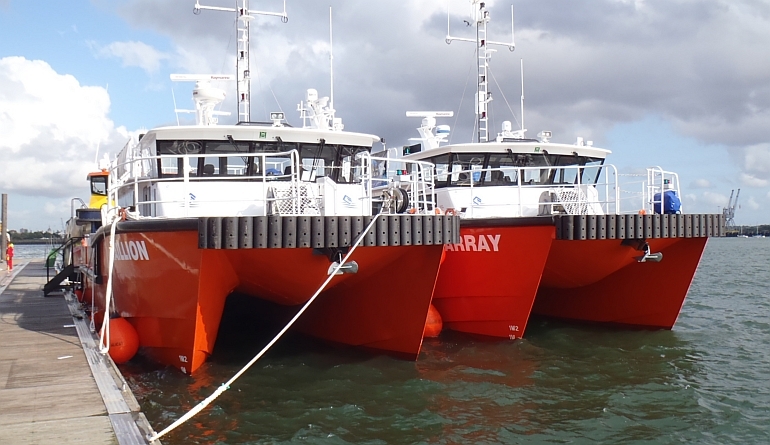 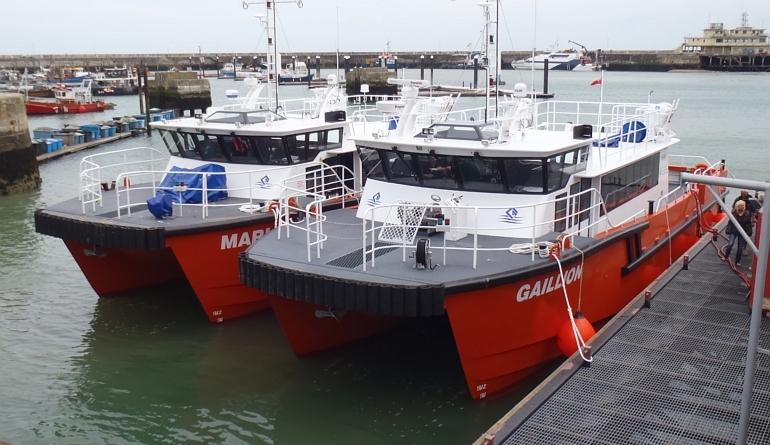 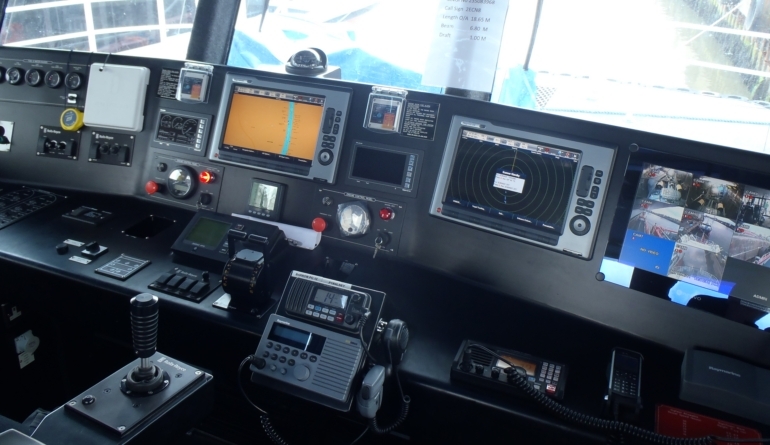 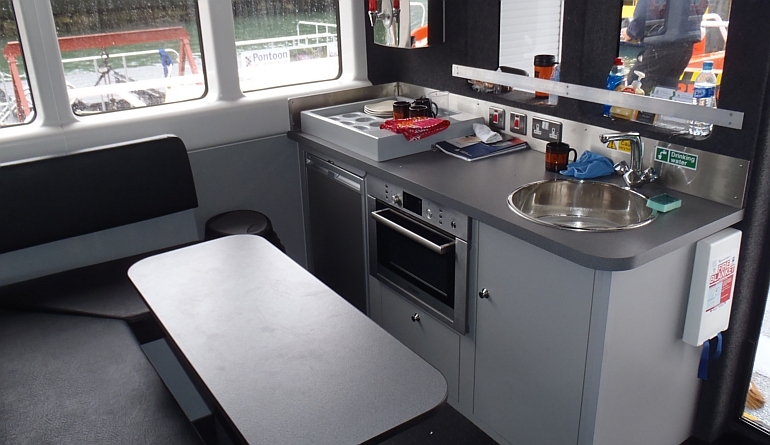 The “Alicat 17 Propeller” aluminium marine kit has been specifically developed for UK and European Wind Farm market place for our UK agent Alicat Workboats, a subsidiary of Gardline Shipping. 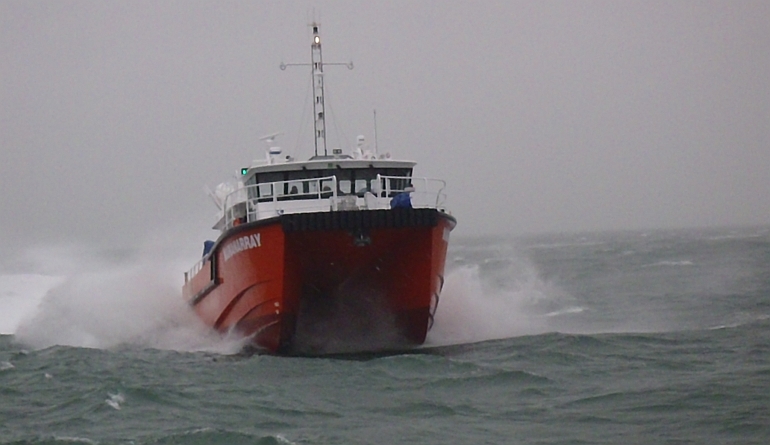 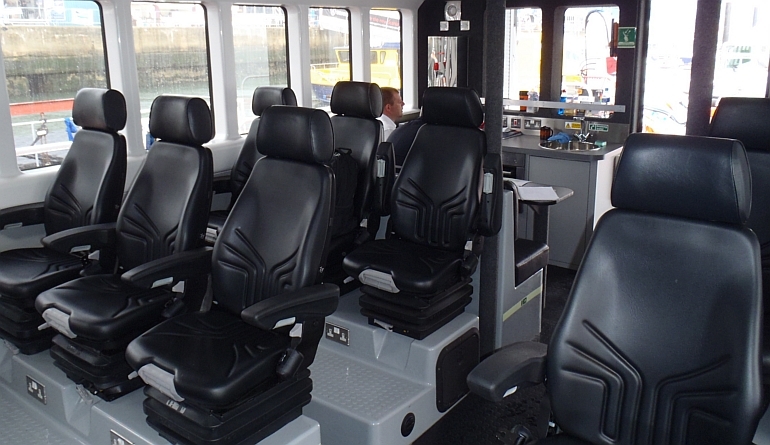 Powered by twin Scania DI16’s 800hp we expect a loaded sprint speed of 26 knots. 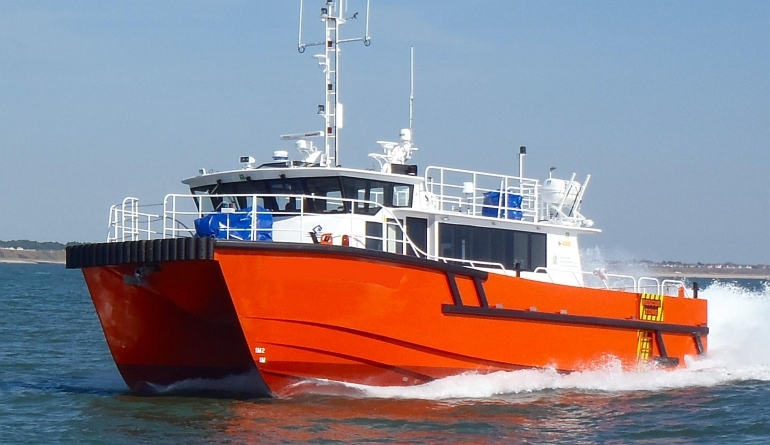 This hull is a shorter version of the well proven 20m “Gardian” and has been configured for twin shaft propulsion.